David Fincher’s Gone Girl continues to push itself into the real world as promotional items bring many of the movie’s fictional documents to life. We’ve already seen the real-life Pinterest page of titular missing woman Amy Dunne (Rosamund Pike), filled with normal aspirational Pinterest stuff like vacation spots and decadent sandwiches along with pages from Dunne’s diary and quotes from Gillian Flynn’s source novel. Now, samples of the movie’s Amazing Amy books are available for download from iTunes, as well. 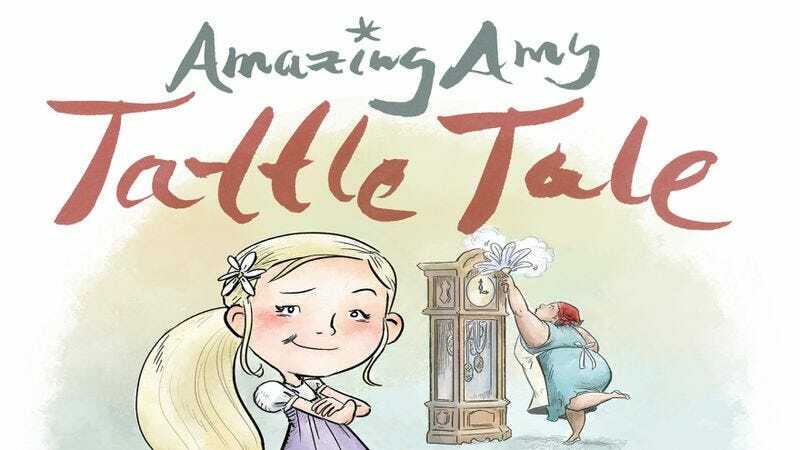 For those who haven’t seen the film, Amazing Amy is a series of annoyingly positive children’s books written by Dunne’s parents (the cheerful covers, drawn by artist Kirk Van Wormer, declare them “Child psychologists—and parents, just like you!”) and based on her childhood. In both the film and the book, Dunne’s status as a literary child star adds an extra bit of heat to the media firestorm that erupts after her mysterious disappearance. The iTunes sample package contains several of the covers that Van Wormer drew for the movie, as well as a couple of internal illustrations from the books. It’s a pretty slight (if free) offering, with only 13 illustrations of Amy’s aggressively smiling face on offer along with a link to the movie’s web site. Looking through them, there’s no deeper meaning or clues to be found for either Fincher’s movie or Flynn’s novel, although staring at Amazing Amy’s wholesome apple-cheeked face for too long might give you some insight into why her flesh-and-blood namesake hates her so much.